Meditation is one of those buzz words – everyone likes to talk about it, but not everybody actually does it. But according to some fascinating studies done by Western scientists, meditation truly does provide extreme benefits as touted by Eastern mystics and Zen masters thousands of years ago. 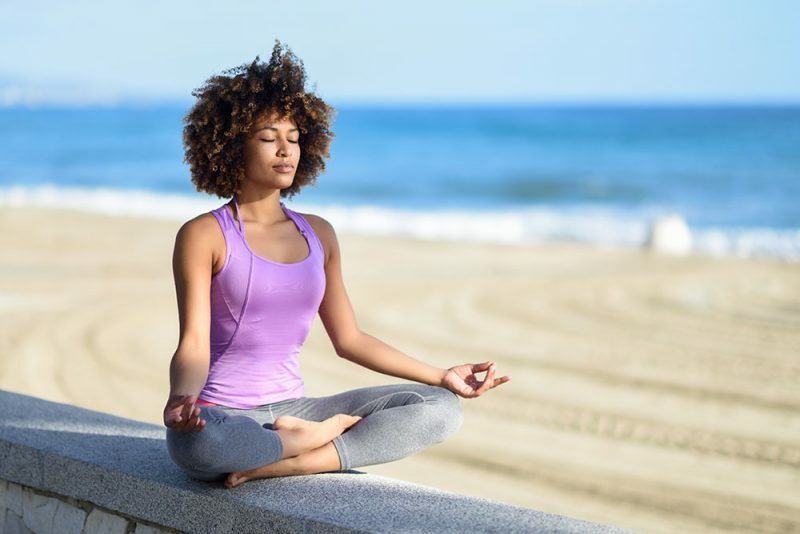 Listed below are some of the most shocking benefits of meditation and all of the ways it can realistically change your life for the better. If you love to practice yoga, then you already know – there’s nothing more relaxing than laying down in savasana after an hour of thoughtful movement. Whether you practice Ashtanga yoga like an epic yogi warrior or tap into the spiritual flow through Kundalini yoga, the mind can feel so settled once you get your body and breath in union. And while doing your daily yoga practice can definitely provide your body, mind, and spirit with some serious benefits, meditation might be the key to leveling up your consciousness. If you’re just starting out with meditation, don’t get sidetracked about how to do it. Just commit to sitting quietly for two minutes every morning. Sit anywhere that is comfortable and tune in to your mental state. Focus on breathing in and out, and if you need a little extra help, consider using a guided meditation. Many free ones can be found on free streaming sites like YouTube. Some modes of meditation you can explore are Mindfulness Meditation, Zen Buddhist Meditation, and Transcendental Meditation. Any form of meditation can be beneficial, just find the one that is most comfortable for you and see if the following benefits come forth for you. 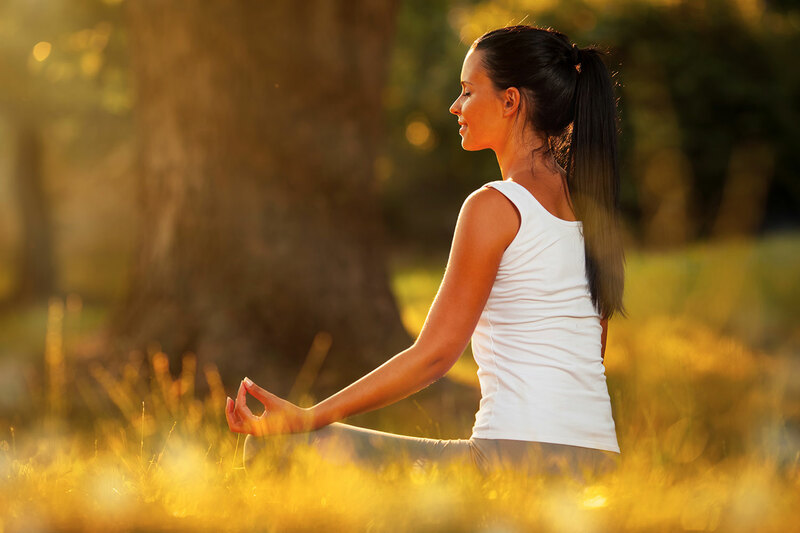 One of the most well known benefits of meditation is stress reduction. 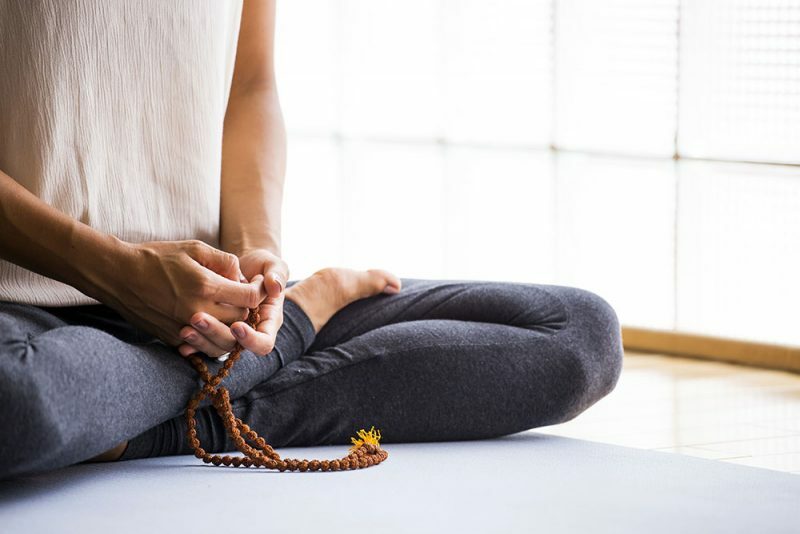 As described in this Yoga Journal article about meditation, the practice has been scientifically proven to change your brain. The effects sound pretty dramatic; in the article, author Kelly McGonigal recounts brain scan studies done by Philippe Goldin, who is the director of the Clinically Applied Affective Neuroscience project at Stanford University. Goldin did several studies using mindfulness meditation on stressed out students. The result was that participants showed increased activity in the area of their brain that processes negative self-statements. In short, that means the more you meditate, the more you will be able to take negative thoughts and transmute them into something positive for a more stress-free existence. And what is stress really other than a flooding of negative thoughts and emotions? In addition to decreasing stress, meditation can actually regulate your mood and decrease depression. 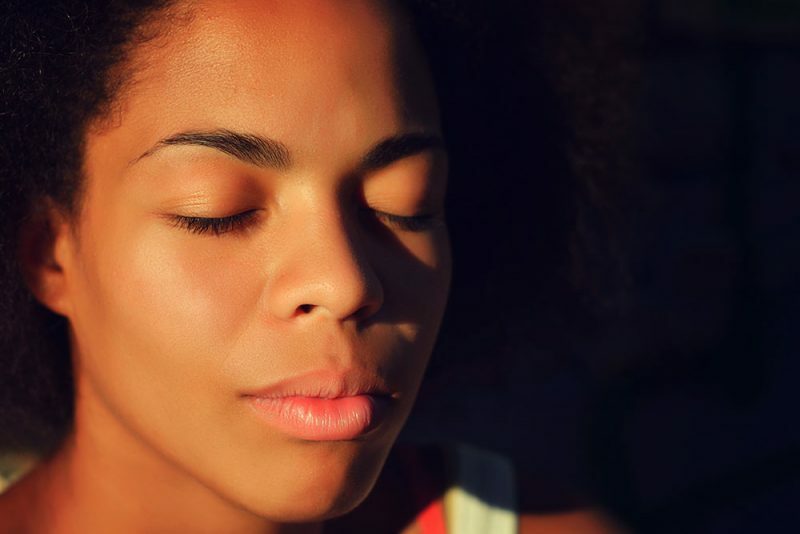 In this article from Scientific American, researchers found that “mindfulness meditation alleviates pain, anxiety, and depression…to a similar degree as antidepressant drug therapy“. 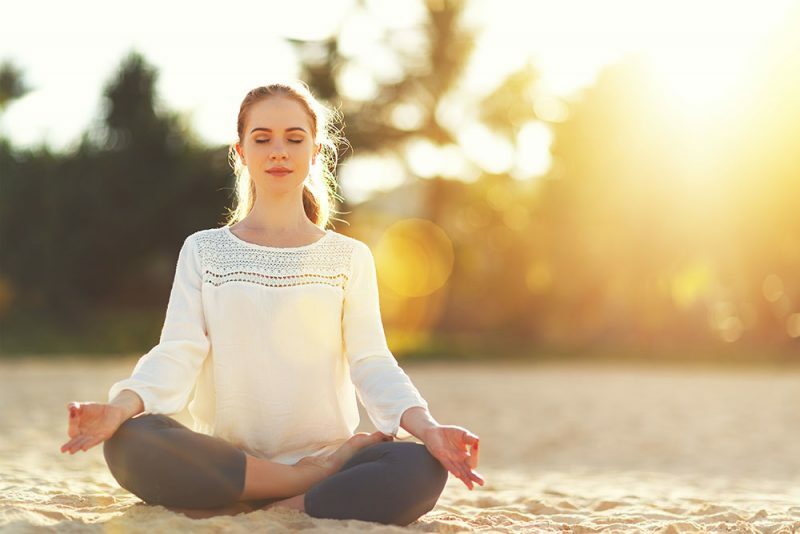 Those results are pretty shocking and show that meditation truly can improve your mental and emotional state – and all without the painful side effects of pharmaceuticals. This is particularly good news for new mothers or women who are pregnant, as the hormonal response to childbirth and the life changes that follow can be dramatic. As stated in this article by Medical News Today, 1 in 5 expectant moms experience major depression, but yoga and meditation can help. 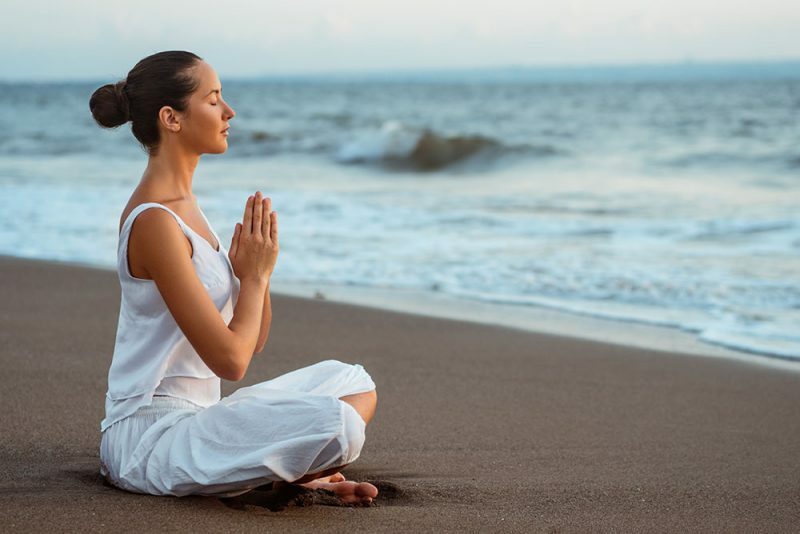 When pregnant women participated in the study mentioned, they experienced a “significant reduction in depressive symptoms” and “reported stronger attachment to their babies in the womb.” And the best part of meditation is that it is relatively free; any person can access meditation teachings online and practice them at home without any expensive equipment. One of the secrets behind the success of meditation could be its habit-forming quality. Meditation is what’s known as a keystone habit. Another example of a keystone habit is running; as mentioned in this article, a keystone habit is any kind of behavior that has compounding effects. Meditation is a keystone habit that will give you a sense of small victories every day and in turn will help you improve your sense of well-being. That means when you start meditating, you’re more likely to make better choices in life overall. That could mean adding more yoga or exercise to your daily regimen, drinking less alcohol, quitting smoking, eating healthier, or all of the above! All of these factors can lead to higher self-esteem and can put you in touch with your higher self. In a world full of advertisements, cellphones, social media, television and the expectation to be available 24/7, its no surprise a lot of people feel increasingly distracted. But with meditation, you can settle your mind and give yourself the gift of a little peace and quiet. In the Yoga Sutra II.11, wise sage Patanjali writes, “Meditation removes disturbances of the mind.” This speaks to the enhanced abilities of concentration that come from meditation – when you train your brain to focus, tuning out the irrelevant things in life gets a little easier. As you train your brain with meditation, you might discover that you have a greater sense of self-control and self-awareness. Something about quieting the mind and going inwards helps you get in touch with your true self, and boosts your confidence. One particularly successful form of meditation for this is Vipassana meditation. When this form of meditation was brought to prisoners, the results showed the prisoners had less issues with alcohol and substance abuse. 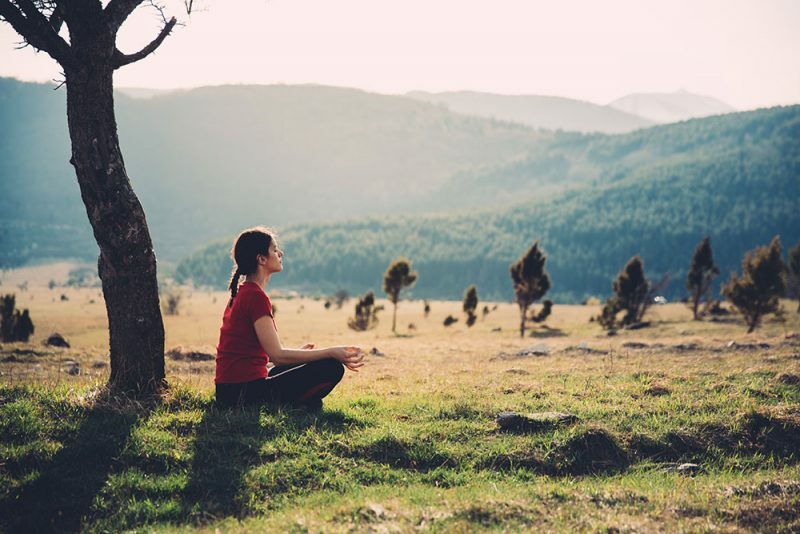 And as mentioned in this article by Live And Dare, meditation can also help you make better decisions as it allows the brain to process information faster. In the same article, Frye cites a study that showed meditation actually released antibodies that help you fight off the flu and common cold. Additionally, meditation relaxes your body and lowers your blood pressure and cholesterol. These studies show that meditation can actually improve your physical body, not just your mind or emotions. According to one study, those who practice Zen meditation might have the added benefit of feeling less pain. This is a huge benefit for anyone suffering from a chronic injury or for women who experience painful menstrual cramps. According to this article from Time Magazine, researchers did brain scans on people before and during Zen meditation. During the experiment, they induced some form of pain onto the meditators. What they discovered is pretty amazing! Before meditation, the response to the pain lit up certain areas of the brain. During meditation, the same level of pain stimulus registered significantly smaller, suggesting that people who meditate actually do feel less pain! In short, the benefits of meditation are immense. When you cultivate a meditation practice, your body literally gets stronger – you will have an easier time fighting off disease, it will be easier to concentrate, you will be more likely to make healthy choices, and you will look younger. So if you really want to change your life, start meditating and watch the benefits unfold!